Participating artists will donate a portion of fine art sales to two local non-profit groups, Central Coast of California State Parks Association, and the Morro Bay National Estuary Program. On view through March 31. www.facebook.com/events/1043041649217305 . 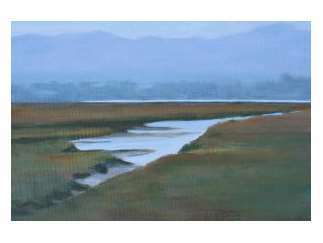 Art: "October Estuary" oil by Tracy Paz. San Luis Outdoor Painters for the Environment have been painting the Coast and the Estuary for months. A portion of sales benefit Central Coast of California State Parks Association and Morro Bay National Estuary Program. www.slope-painters.com.